Successfully Added Palm sized 1GB MP3 And WMA Player - FM Tuner + Speaker to your Shopping Cart. Small, Palm Sized 1GB MP3 and WMA Player with a built in FM Radio Tuner as well as a small quality speaker built into the front to the player. 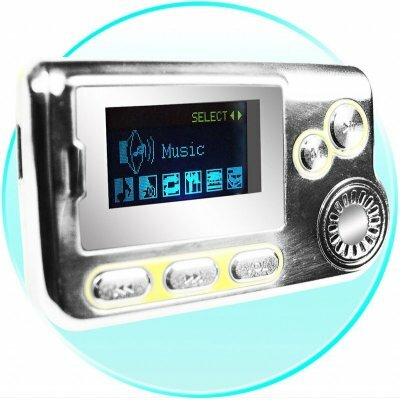 This is a great, flashy little music player to take around when you are out, and its streamlined metallic finish is eye catching. Also, it has a 2 Color LCD Display, so you can keep track of which songs you are playing as well as finding your favorite radio station easily. With no M.O.Q. (no minimum order quantity), and a one year Chinavasion Warranty, this is a cool little MP3 Player should be high on your wish list of items to stock for your online store..